Could we finally see Virtual Console Gamecube support on the Switch? The latest firmware update on the Nintendo Switch brought a hidden treat for Switch owners to go nuts for. The king of all Nintendo controller for the majority of fans, the Gamecube controller, is praised and beloved by many young and old fans. Perfect for Smash Bros. titles ever since Super Smash Bros. Melee. The great thing is you can now use a Gamecube controller on the Nintendo Switch. Yup, you read that right. 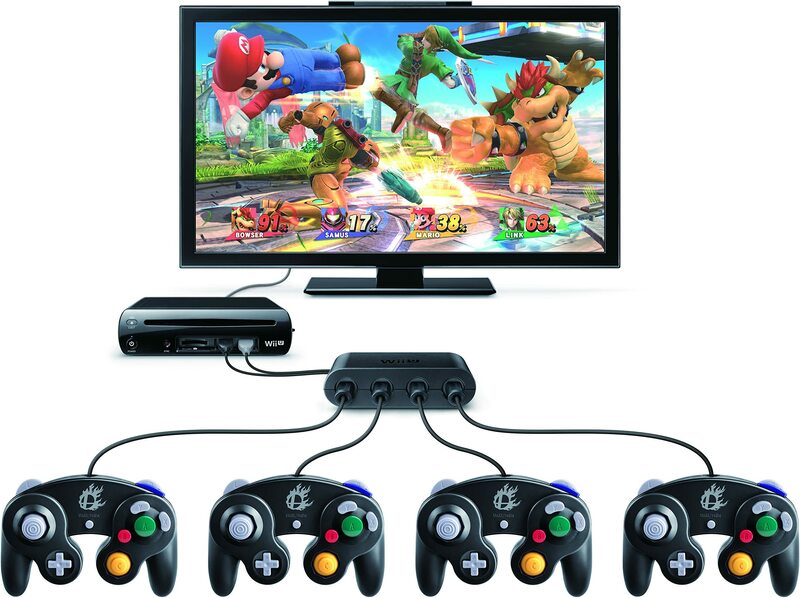 All you need is 1) a Gamecube controller and 2) a officially licensed adapter that launched on the Wii U. Any title that supports the Switch Pro Controller will work with the Gamecube adapater. Essentially allowing you to use the controller in Mario Kart 8 Deluxe, ARMS, NBA 2K18, and even indies like Steamworld Dig 2. Although, since the Gamecube controller doesn’t have a home button and only 1 Z button, it does make it difficult to use in some titles. Turn on your Switch console while docked to a television/monitor. And bravo! It’s all ready to use. Let us know what games you’ll be using the Gamecube controller on in the comment section below.